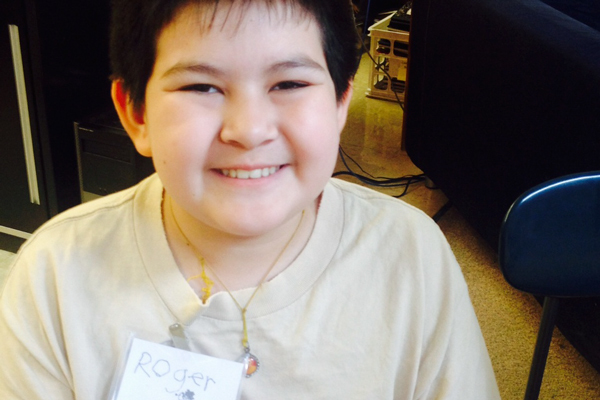 What excited 11-year-old Roger most about his first day of school? The Shadow Project. Roger, who transferred schools this fall …. to Marysville from Woodmere … has autism spectrum disorder and he was nervous about spelling and remembering his locker number. But when he heard that Marysville Special Education Teacher Janice Holstine, M.S., uses The Shadow Project in her classroom to motivate students to set and achieve literacy and other goals, Roger grew animated. Roger especially likes the books available through The Shadow Project such as The Homework Machine and The Boy Who Learned Upside Down, as well as fidgets that can help improve concentration.